Notes: I was back in Kent today for some walking and geocaching. 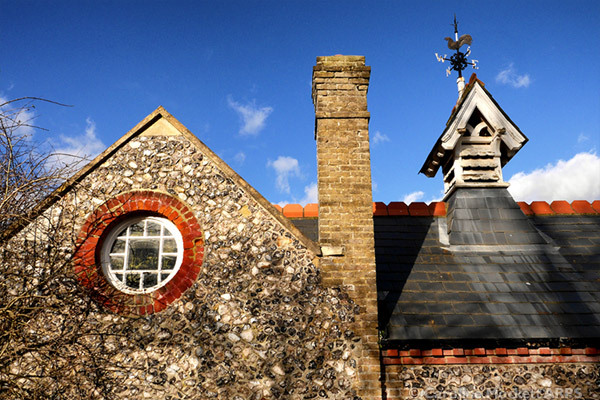 This curious roofline caught my attention on the outskirts of the pretty little village of Fawkham Green. A lot of the buildings locally are made from flint, so this is very typical of the area. They don’t all have little turret towers with weather vanes, though!